On Wednesday, November 4th 2015, Abolish 153 in collaboration with NUQAT hosted symposium on women change makers, providing a platform for individuals and organizations to introduce their vision for social transformation and share their journeys and their methods towards fulfilling their goals. Women in leadership positions have leveraged their influence in business, philanthropy, education and the arts to align their passion and expertise to resolve key social challenges and amplify the voice for change. We are proud to have Rana Husseini, an award-winning journalist and human rights activist who has brought the issue of honor crimes against women to public attention, as our keynote speaker. 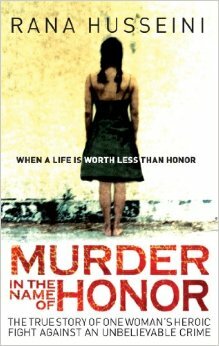 Husseini has recently published a book entitled Murder in the Name of Honor: The True Story of One Woman’s Heroic Fight Against An Unbelievable Crime, which sheds light on a sensitive subject that is susceptible to misconception. The symposium included local speakers instigating change in various fields. The sessions will include a panel discussion in the morning, moderated by a member of Abolish 153 and a panel discussion in the afternoon, also moderated by a member of Abolish 153, both of which will be interactive – an opportunity to present, showcase, debate and answer questions from the audience. It is about learning from and sharing with like-minded individuals who are all working towards a better future. Over 150 people attended the symposium from a variety of backgrounds and ages and it was a groundbreaking moment to have gender violence discussed so openly in a facility of higher learning in Kuwait. MBC’s Kalam Naw-em, the most viewed female program in the Arab world interviewed the members of Abolish 153 and many other news channels were present as well. Introduction by Alanoud Alsharekh, co-founder of ABOLISH 153. Symposium’s participants questions and answers by Rana Husseini.